It seems like everyone I knew in high school went on to become a teacher. Maybe it’s because I had so many friends who genuinely care about helping kids. Maybe it’s because when we were kids, teachers were our heroes. Or maybe it’s because a lot of my friends are artists, and teaching is a smart way to do the thing you love and still make money. Whatever the reason, less than 10 years out of college, a lot of them are already fatigued by the profession. Whether you’re disappointed with low pay, long hours, heavy demands, disappearing benefits, bureaucracy, standardized testing — or you just want to get out of the classroom — you can do it without giving up your career. As homeschooling becomes more popular for families seeking affordable or flexible alternatives to traditional schooling, demand for remote K-12 jobs is growing, too. Online teaching jobs are a great way to keep working if you don’t want to relocate for a job, need flexibility to be at home with young kids of your own, or want to make extra money while you travel. Proximity Learning, Inc. is hiring part-time virtual teachers around the country. You have to be certified to teach in your state, but you can work from anywhere — even outside the United States! Open positions span grades and subjects. You’ll work set classroom hours, but have the flexibility to take on as many or few courses as needed to work with your schedule. Proximity Learning requires a master’s degree in education or equivalent experience. It offers a competitive salary based on experience, with the opportunity for bonuses based on student success. For more part-time and full-time online teaching jobs, with varying requirements, browse more openings at Teachers-Teachers.com. To apply: Fill out the “digital introduction” here, and attach your resume. 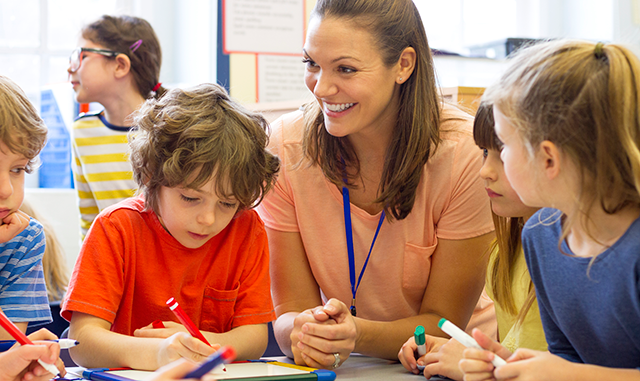 Your Turn: Do you know anyone looking for a flexible teaching job?